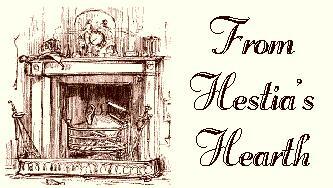 Hestia was the kind, loving, tender, and forgiving goddess of home and hearth. 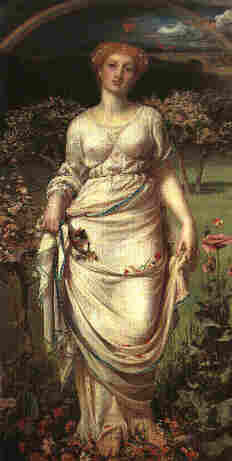 She was the eldest sister of Zeus, and the first-born daughter of Kronos and Rhea (titans). She took an oath of eternal virginity, which Zeus granted. 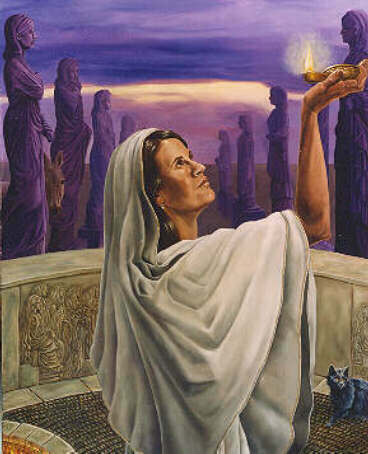 Hestia was an Olympian but she did not live on Mount Olympus, instead she preferred life on Earth with the mortals. Homer, a great Greek poet, said she was “among the mortals and all the goddesses the most revered.” Hestia was special in another way, for she was one of the three gods who were immune to the spells of Aphrodite. The other two are Athena and Artemis. Although Hestia was special, she did not play any part in Greek mythology. Despite the fact that Hestia was a virgin she has some stories involving her and men. Both Poseidon and Apollo sought her hand in marriage. Unfortunately for them, Hestia rejected and was even offended. She went to Zeus who understood her, for she had sworn an oath to remain a virgin. Also, she knew this situation was soon to cause a problem between some of the gods. Zeus was grateful that she told him about the rivalry between the two male gods. In fact he was so grateful he made her responsible for the peace in Greece. Another story about Hestia and a man was the one where she nearly made love to a male god named Priapus. It all began when all the gods were having a great party. They were all so happy and towards the end of the celebration they all passed out, including Hestia. Priapus was very drunk but he was not asleep. He noticed Hestia sleeping, and so he approached her, undressed himself, and slowly lowered his body onto hers. Luckily, she felt it and woke up straight away. She screamed at the sight of a naked man over her. Priapus got scared and ran away. These were two interesting stories about Hestia. Thankfully, she remained a virgin. This is Homer’s hymn to the goddess Hestia. It talks of her great honor and how the people of Greece do not eat unless they prey to her first. They pour sweet wine in offering to her both at the beginning of the meal and at the end. The main lesson Hestia tried to teach was that you should always try to make your home a priority. Try to shape it up until it is a good home that can help you and nurture you. If you don’t take care of your home, who will? Also, think of it as a friend. It will always be there for you. The symbol of this goddess is a fireplace.